Hey friends! Did you know I have a series here on the blog called Trashtastic Treasures? In this series, I take something from either a thrift store or my home that could use a makeover, and transform it into a treasure. Don’t you just love the power of paint to transform things? It never ceases to amaze me! 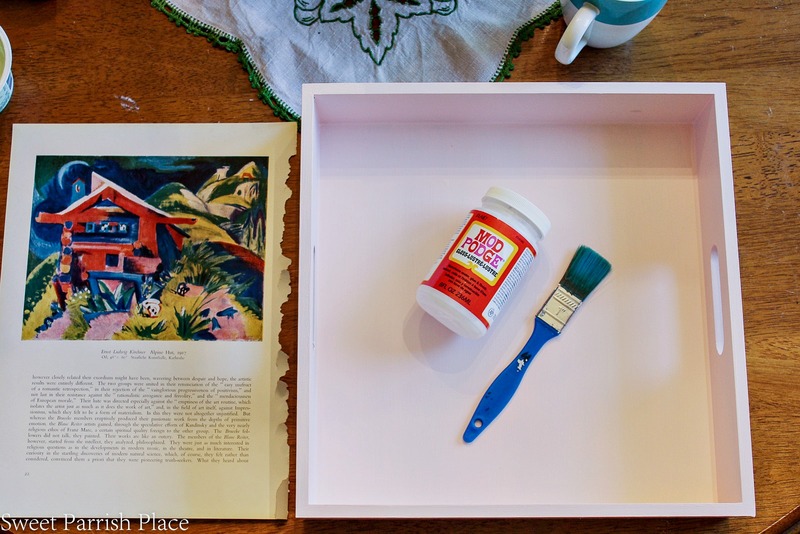 My project for today is a vintage art tray makeover, and a big part of this transformation is paint. 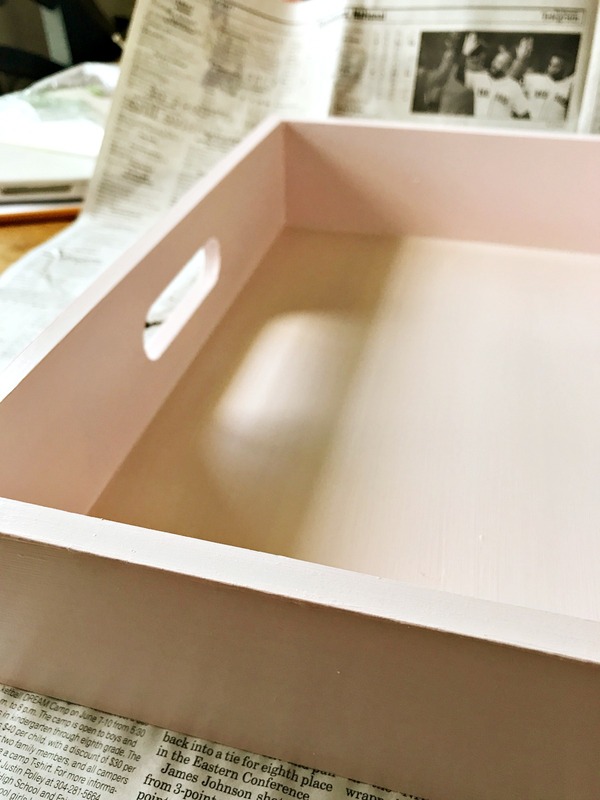 I have a special treat for you today as well, because I am collaborating with two blogger friends who have also done a DIY tray project, and both are adorable as well. You can check out Mary’s tray over at the The Real Girls Realm, and Carrie’s over at Curly Craft Mom. I am having a moment with the color blush for a while now, and I don’t see it ending anytime soon! I have been adding touches of it here and there throughout my home. I wrote a post about all things blush back in the spring. So, I had this blue tray that you can see in the photo below. This was given to me by a friend. I am imagining that she received it as part of a gift pack, and she knows my love for transforming things, so she gifted it to me. I actually used it as is for a couple of years, all the while knowing it was on my list of things to transform. You can see the before below. I got the perfect inspiration to finally transform this tray when I decided to collaborate with my two friends to do a DIY tray. And I thought this would be the perfect opportunity to add a little more blush to my life. I actually had a little sample pot of a blush paint that I had picked up at Lowe’s not long ago because it was just too cute. The paint is Valspar, and the color is Baby Blush. So, I gave it three coats, and voila! It has a much softer look that I loved just the way it was. 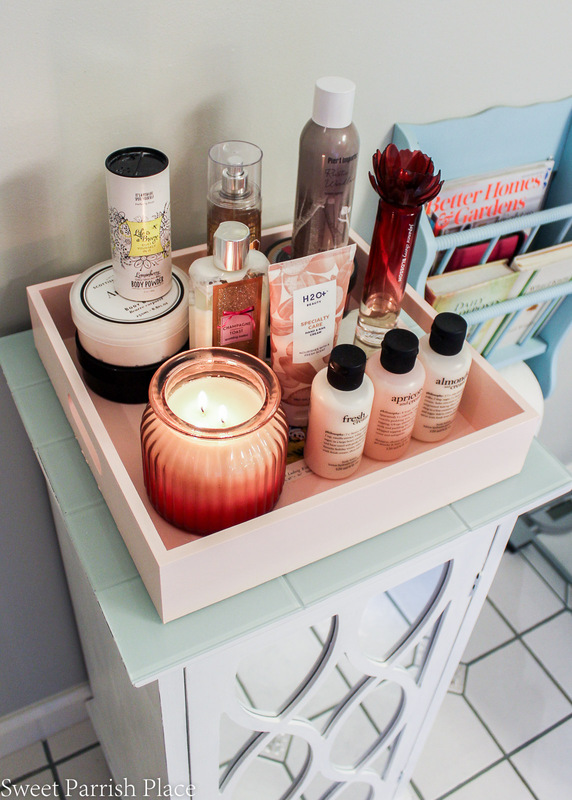 Although I just loved the blush tray as is, I wanted to give it a little something extra. And I happened to have a vintage book full of artwork that I had picked up at a recent thrifting adventure, so the thought occurred to me to add a page to the center of my tray. I looked through the book several times before settling on this particular print. The book I pulled this art from is called “Modern German Painting” by Hans Konrad Roethel. Translated from the German by Desmond and Louise Clayton. It is full of art from the late 1800’s and into the 1900’s. 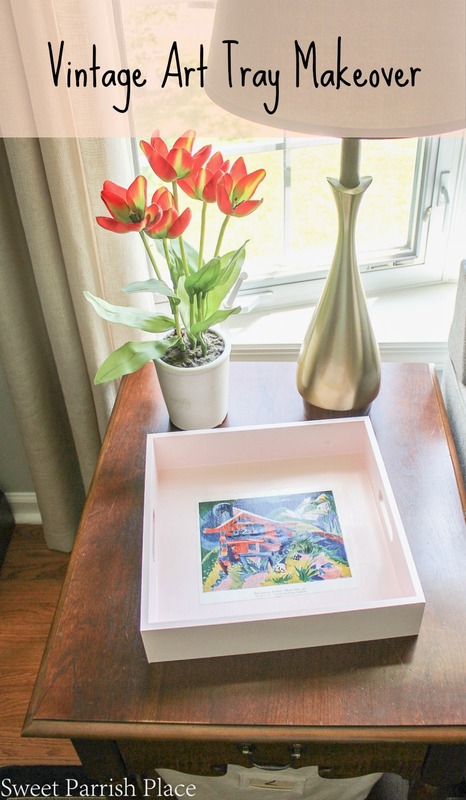 All it took to join this art print with the tray was some Mod Podge. I first cut my print to the size and shape I wanted it to be. I decided to leave the little caption underneath that lists the artist and the title of the work. Next I used a small paint brush and painted the mod podge on the tray in the area where the art print would be adhered. I then carefully placed the artwork on the tray, and used a credit card to smooth it down on the tray. After you have the art placed where you want it, you will paint the entire bottom of the tray with the mod podge- I gave it three coats. Waiting for about a half an hour or so between coats. After my first coat, when the paper initially got wet, the artwork started bubbling up in spots, and at first I thought this whole project was going to be a fail. But I took a needle and just made tiny holes in the bubbles and started smoothing them down gently with my index finger. Surprisingly enough, after all three coats of mod podge was totally dry there was no trace of any bubbles, so it all worked out! 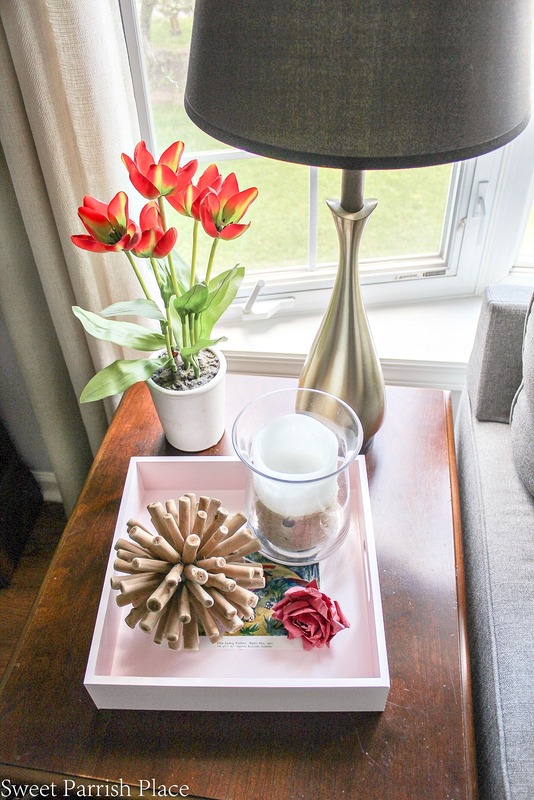 I decided to style this tray two different ways for you for this post. 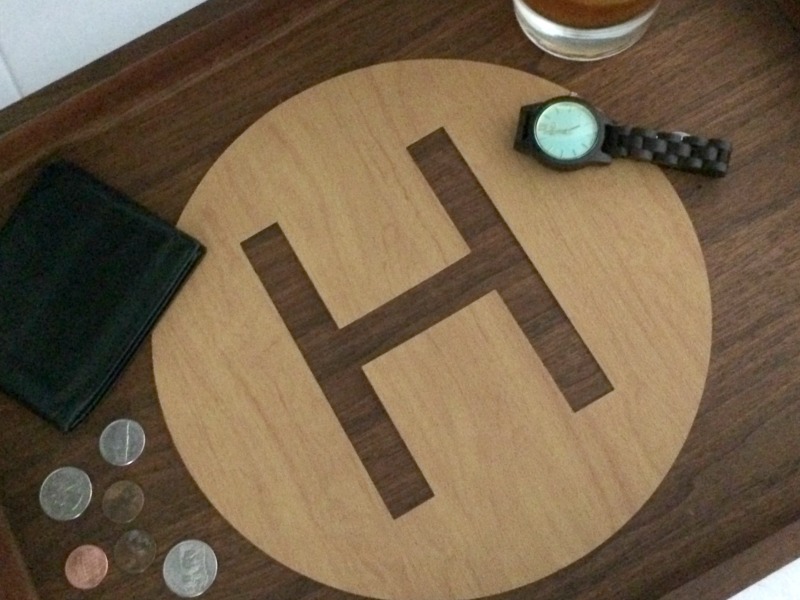 Here it is on an end table in our living room. 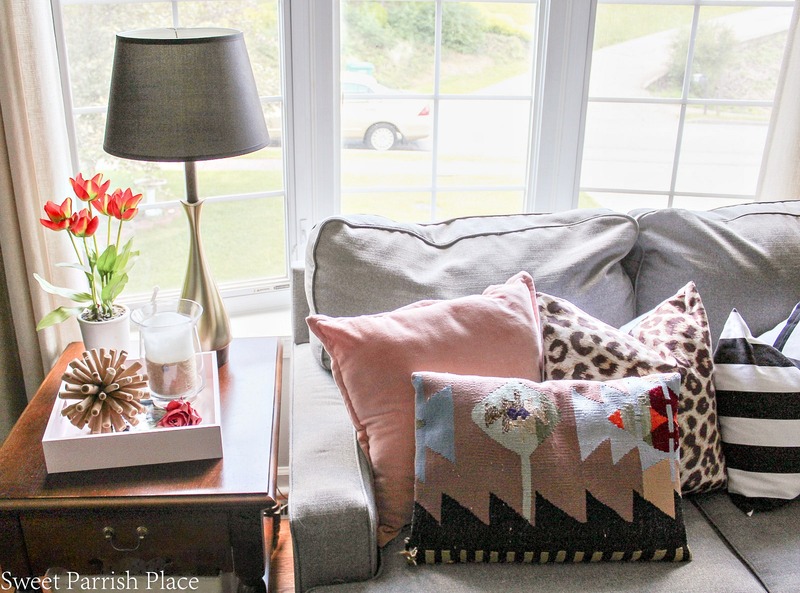 The color fits right in this space because I already have some touches of blush with the pillows and artwork in the room. 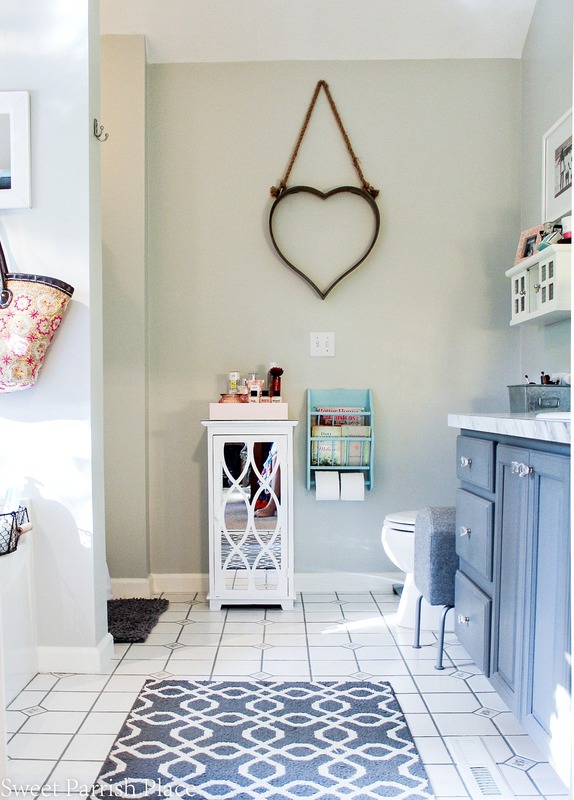 And although I love it in my living room, my master bath is where the tray will be living for the foreseeable future. After all, that is where it was from the beginning. 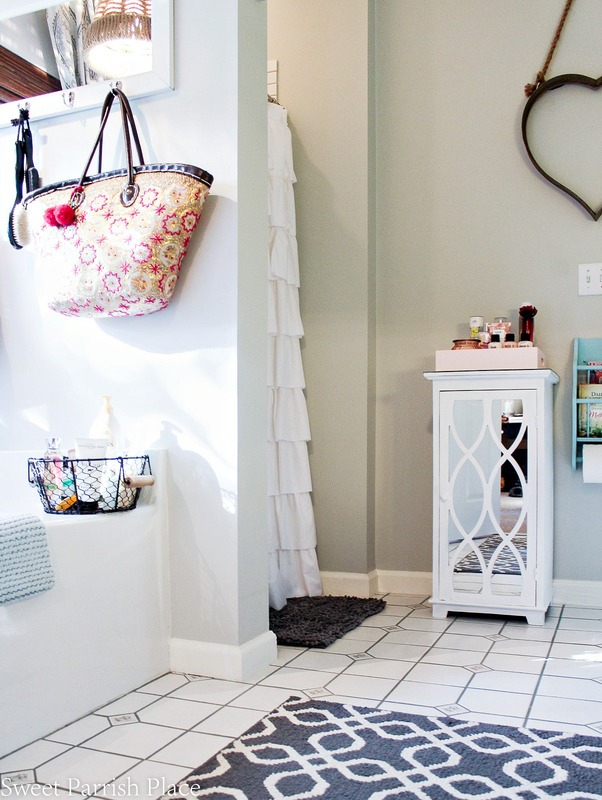 And it was serving the useful purpose of corralling my daily products that I use after my shower or bath. And of course, a candle, because my favorite thing to do is burn a candle while I am doing my nightly routine. And you might notice that it looks a little different here than it did from the before picture above. Have you ever read the book “If You Give A Mouse Cookie” by Laura Joffe Numeroff? Well, it happened sort of like that story. I went to place my new beautiful tray on the black cabinet to photograph it for this post, and you guys, I just couldn’t do it! The black cabinet had been begging me to paint it, and I could no longer ignore its call. 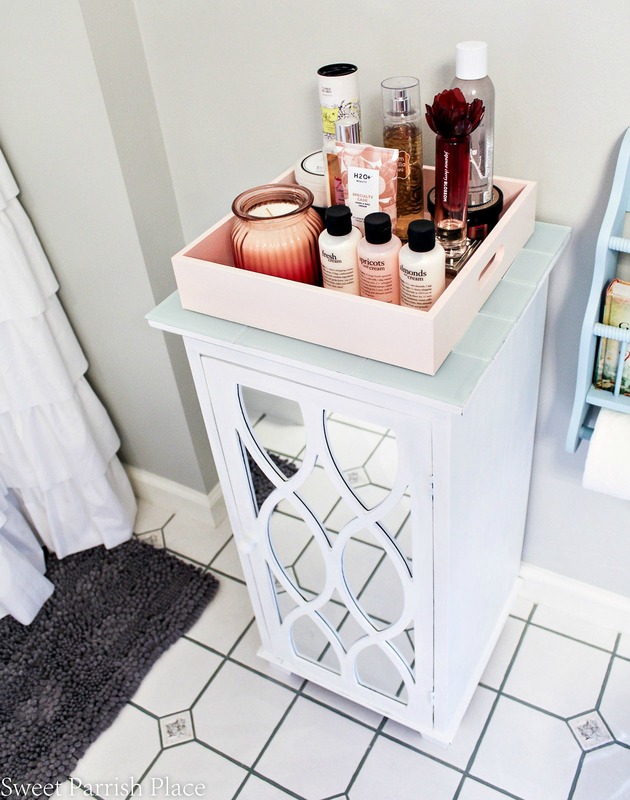 So I actually ended up painting the cabinet and adding sea glass tiles to the top, all so that I could photograph this tray in this room for you! But oh my goodness, am I so happy that I did! It makes all the difference. And it was already on my list anyway. 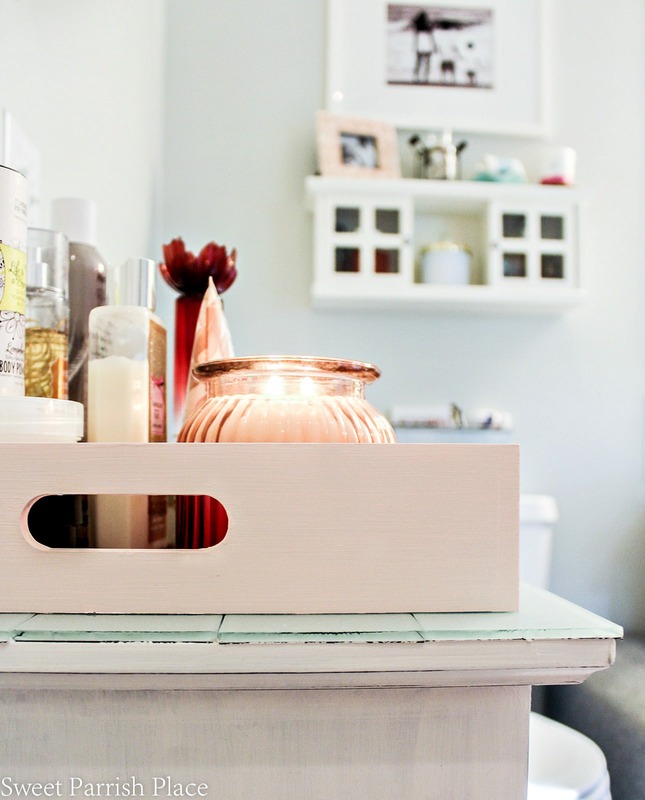 So I will be sharing all about my cabinet transformation in another post, but for today, let’s enjoy my little blush tray, can we? It does such a good job holding all of my body powders, sprays and lotions, and things that make me smell oh so good. If you look in the below photo, I also changed out the art above the small white cabinet that hangs on the wall. That is actually a photograph I took years ago on a beach vacation of the kids. It used to hang in another bathroom, but it had been displaced because I made over that bathroom. And I decided to move it into our master bath. And I love it here! And in the spirit of keeping it real, Yes, I do keep these things out on display in my bathroom because it is just easier for me to have them at the ready because I use them so often. I don’t keep all of my products out, just these. I am so happy with my newly made over tray! I was hating on the before blue tray for way too long people. So I am so glad that I got the inspiration to finally change it from my blog friends. 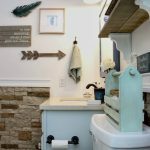 Both of these projects were things that were on my list for our master bath. And now, I have only one more project to complete in this space and it will be completely finished. How do you feel about the color blush? It is definitely having a moment, and I am definitely on the band wagon! And it fits perfectly in our master bath because I have other splashes of it already around the room. 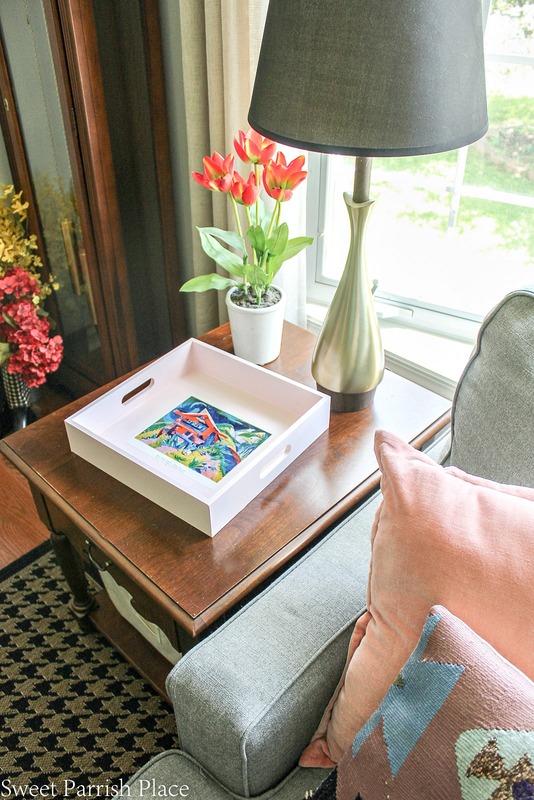 So tell me, what do you think about my vintage art tray makeover? It was so simple and such an improvement that I am kicking myself for waiting far too long to get it done! And it is so pretty that it could actually be hung on the wall in my opinion. And please, go and visit my other friends who are collaborating with me today. 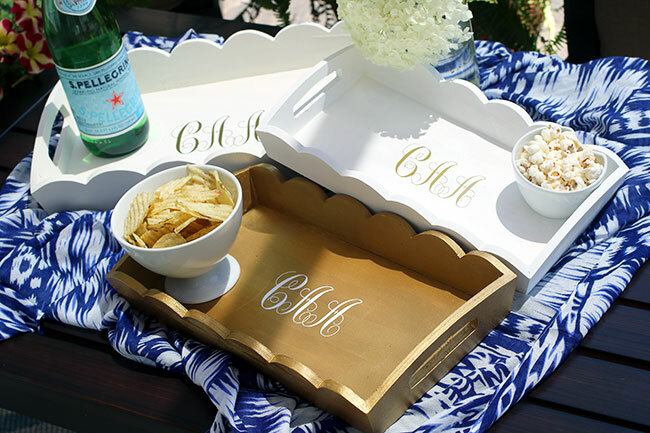 Their trays are just the cutest, and they will tell you all about how they did them! Here is a photo of each of their projects, just to wet your whistle. I love the shade of blush you used and I would not have thought to use mod podge and artwork. What a great makeover! What a fun collaboration! Thanks Mary! It is always a good time to work with you! We need to plan another future endeavor! You are so sweet Carrie! Thanks for making me smile today! Glad you like it! 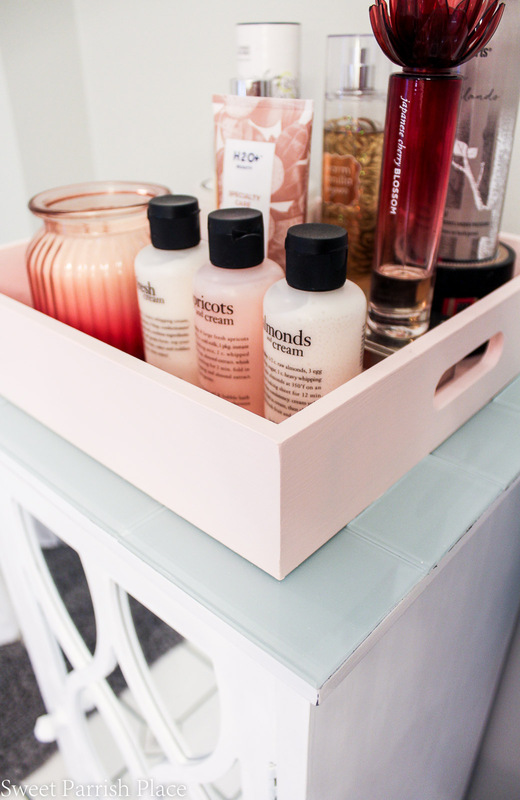 That blush is so your color and i love how it transformed your tray. And while it was lovely just painted, that little piece of artwork really added to it. Well done!!! Thanks so much Lynn! I have a whole book full of gorgeous artwork where that came from and am looking forward to finding new uses for it! Your tray looks great! I love your bathroom, too! 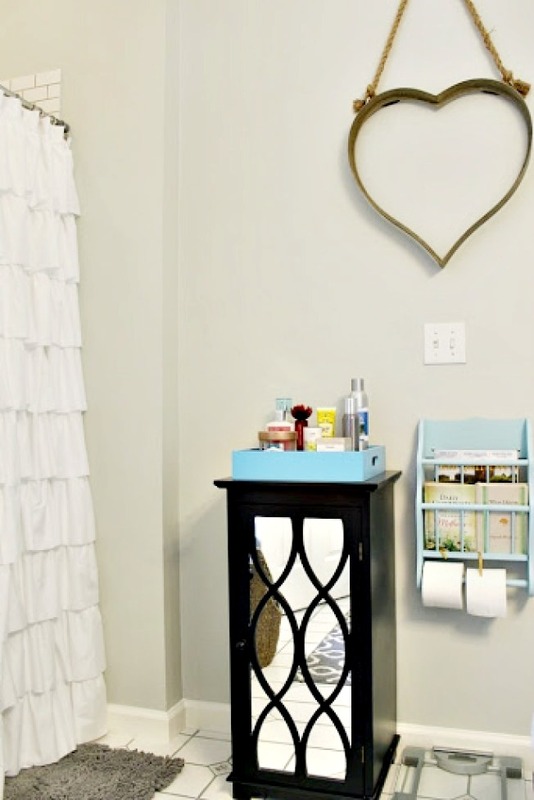 That toilet roll/newspaper holder is super cool! I need one of those now!! Thanks so much! It was a great thrift store find!